WATCH THE TWO MINUTES TUTORIAL! To further understand how VitaminBW works we suggest you download the sample file containing all the versions. 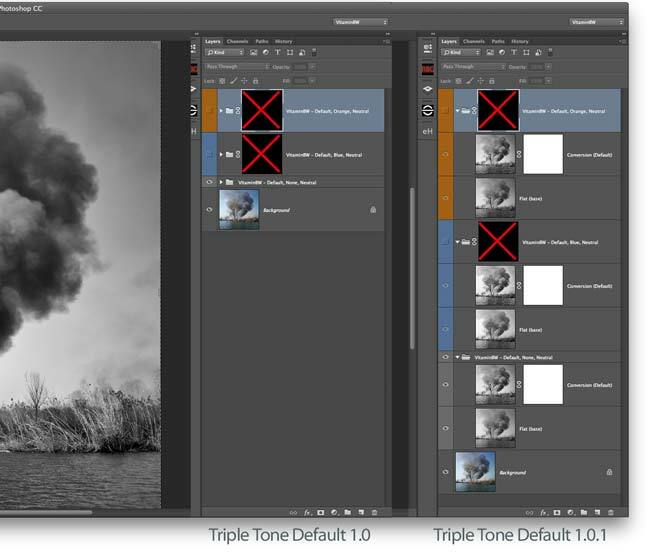 Play with layers opacity and masks to appreciate the versatility and the power of Triple Tone. Check out all the delicate additional tonalities of the sky in the orange version that was not possible to show in the screencast. Paint on the mask of the blue layer to touch with your hands the unbelievable improvement of the foliage that is not achievable in any other way. Here below an example of how Triple Tone works on a beauty file. 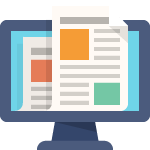 Open the toggle content to read more. We got this steps just pressing the “Triple Tone” button. Also, you can see two variations on the default Blue and Orange. Original. The file is nice and in color works well. Flat layer. Similar to Lab luminosity. As you can see the file have lost a great part of his contrast. Read why in the toggle. Do your Black & White Conversions Look Flat?”. With this file, you can tweak the contrast reducing the opacity of the VitaminBW layer or paint in the white mask with a soft black brush to remove unwanted halos. Vitamin BW layer. Filter: None. Vitamin BW layer. Filter: Blue – A more exotic look, probably a bit excessive. Orchids are amazing! Vitamin BW layer. Filter: Blue reducing the opacity at 70%. Well balanced. Vitamin BW layer. Filter: Orange. A bit lack of contrast with a fascinating skin result. Vitamin BW layer. Filter: Orange with a curve layer added for a bit more punch. So VitaminBW proposed you three different tonal variations. A default one, already very good, one with an exotic look and with beautiful orchids and one very sweet, with a very nice skin rendition. It’s up to you and your creativity to get the most out from this versions. Single and triple tone examples. 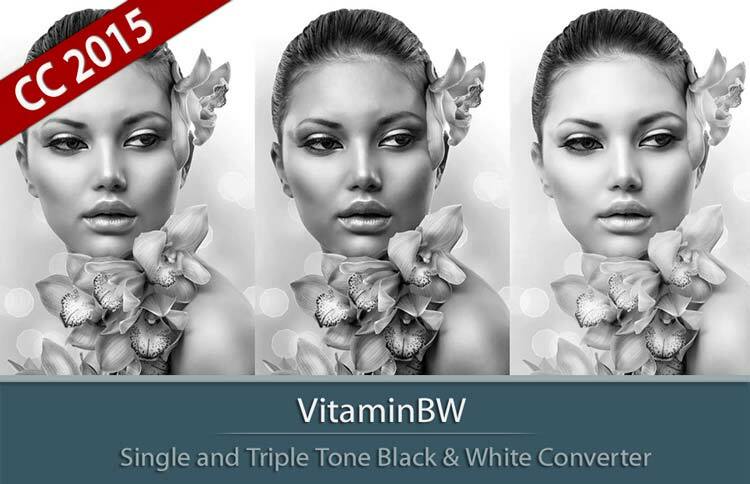 To help you to understand how Vitamin BW works we added the Photoshop layers. Flat layer. Similar to Lab luminosity. Losing the color contrast the file has a severe lack of contrast. This flat layer may be useful to tweak the contrast reducing the opacity of the VitaminBW layer or paint in the white mask with a soft black brush to remove unwanted halos. We applied Triple Tone. This is the VitaminBW layer. Filter: None. A great starting point. The foliage is a bit confused. Vitamin BW layer. 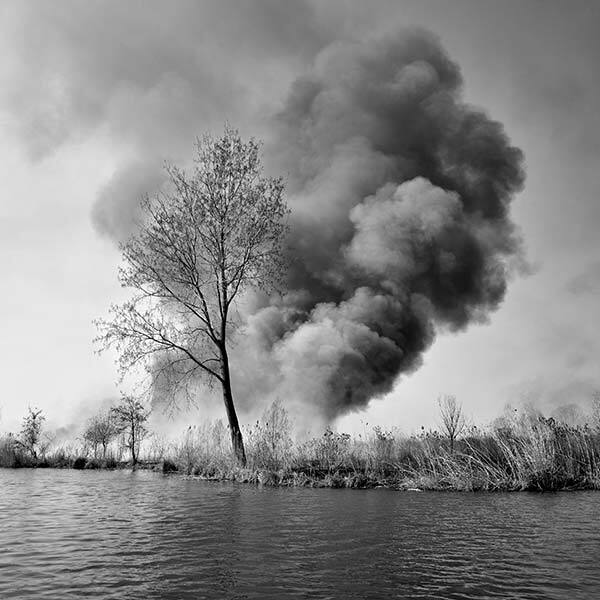 Filter: Blue – with a Stunning improvement of the foliage. The water also looks better. We filled the blue layer mask with black and painted with a soft white brush to reveal ONLY the best of the blue version, in this case, the foliage and the water. Watch the black mask in the example. We didn’t add the orange version, but this can even improve the sky tones. Flat layer. Unacceptable from the tonal point of view. Of course, you could work with the curves, but the result should be not so good. Single tone. No Filter. Big improvement but with a gruesome halo around the head. A quick retouch painting with a soft black brush on the white mask. Straightforward and fast. This was possible because in general, the flat layer below has a similar tonal value. In CC 2014, CC, CS6, the user can install 1.0.1 with Adobe Extension Manager or 1.0.3 manually. Once applied Triple Tone display the groups closed, in order to let you to compare quickly the three versions simply activating the eye icons. In this mode you can change the version opacity , blending options or painting on the mask. In case of more advanced editing simply open the group in order to display all available layers. See the image below.